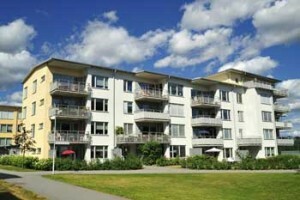 Are you looking for a company that provides apartment window repair and replacement? All Service Glass is here to help. We work directly with Property Managers and HOA Officers in situations they can’t address themselves. The two most common problems we fix are broken panes and broken frames. Broken windowpanes will let air and rain in, which can mean uncomfortable living conditions and even water damage. Replacing the pane can be difficult, especially with older windows, so let us handle it. Are your frames damaged? Whether they’re made from wood, vinyl, or some other material, frames can be repaired using a few simple instruments like drills and screwdrivers and materials like putty. Our work will prevent air, water, and insects from entering the apartment. Double-glazed glass is known for its increased thermal insulation. Whatever you choose, we’ll measure your old glass so that we can order an apartment glass replacement that’s an exact fit. A complete apartment window replacement may be necessary if the glass is shattered, the frame is rotted, and the entire window was poorly sealed to begin with. We will make sure to inspect the damage, and we’ll only consider it as a last resort, since we want to save our customers money wherever possible. We can complete single-pane window repairs and replacements usually in the same day. Our team will need to be alerted ahead of time if the windows are double-pane windows.